A non-threatening way for learners with ASD to practice their communication and social skills. Milo the robot is designed to be interesting and approachable for learners with ASD. He can walk, talk and even model human facial expressions. Milo never gets frustrated or tired. He consistently delivers lessons in a way that learners with ASD respond to. This recurring positive experience creates an environment in which learners can learn and thrive. Robots4Autism helps learners improve their social and behavioral skills and gain the confidence they need to succeed academically and socially. 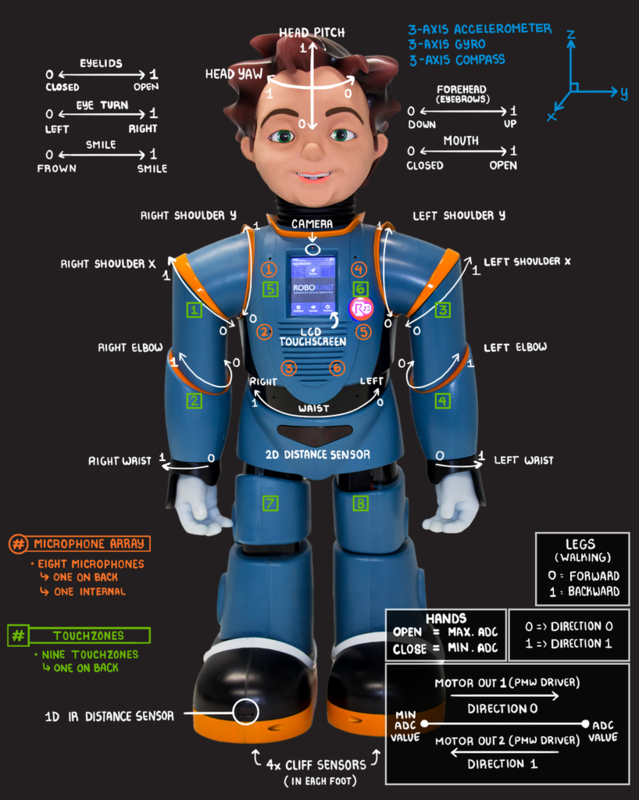 The Robots4Autism lessons are designed to teach social behaviors and emotional identification to learners ages 5-17 who meet the Prerequisite Skills. To determine if the curriculum is appropriate for your child, please read the prerequisite skills needed. Milo delivers lessons verbally. As he speaks, symbols are displayed on his chest screen that will help your learner better understand what he is saying. Throughout the lessons, Milo will ask your learner to watch four to five second video clips on the student tablet. The videos show learners displaying the skills or behaviors both correctly and incorrectly that Milo is teaching. Your learner will be asked “yes” or “no” questions to determine if the learners in the video are doing the behaviors right or wrong. It is recommended that your learner work with Milo, along with an educator or therapist, for 30 to 60 minutes at least three times a week.